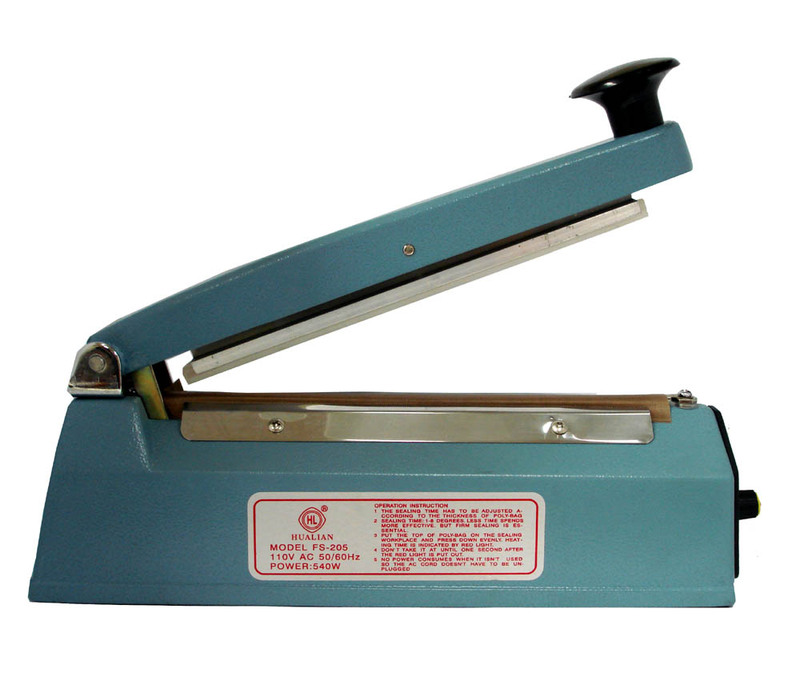 Home > Leathercraft Hardware, Craft Tools, Craft Supplies > FS-200 Hand Sealer 8"
Impulse hand sealers seal poly bags and other thermoplastic materials quickly and efficinetly without any warm-up time. 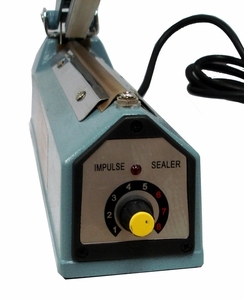 Easy to Operate: Simply set the timer, insert the bag between the sealing bar & the sealing platform, perss down the seal bar, and release bar after the timer lihgt goes out. Once the timer is set, it will give a consistently falt seal. It is recommended that the user hold the seal bar down for a few seconds more after that light goes out to ensure enough time for the seal to cool and set.